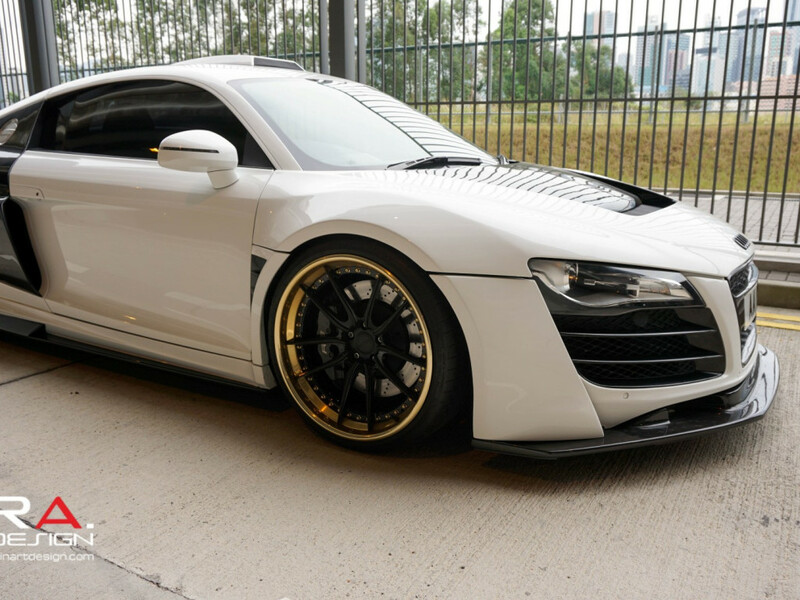 Among one of the first projects cars that we worked on at ReinART.Design was a 2011 Audi R8 4.2 V8. 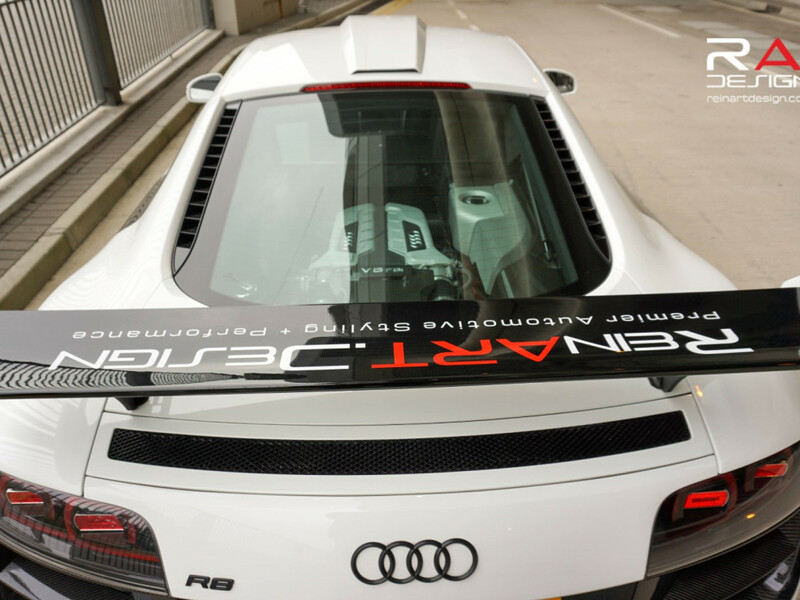 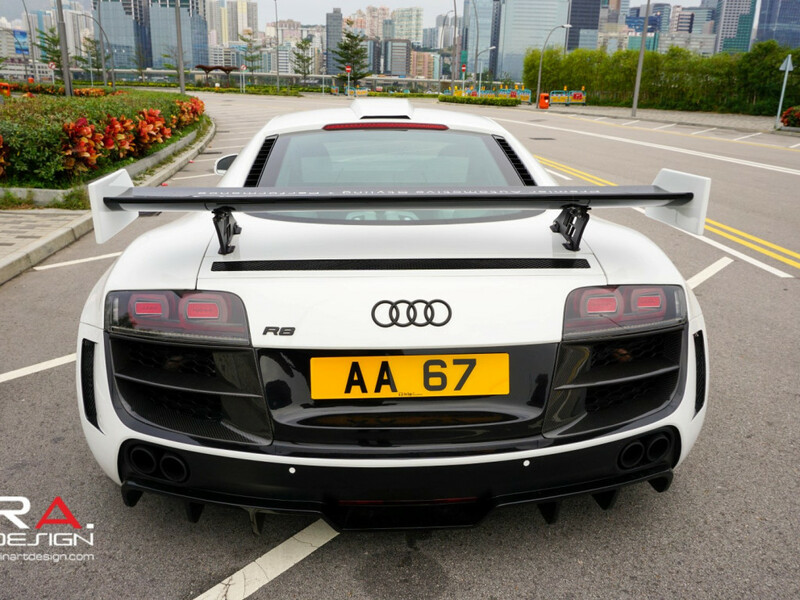 The owner of the car brought it in to our shop and told us how he wanted to set his car apart from all the other regularÂ R8’s on the streetsÂ of Hong Kong.Â From the factories of Quattro GmbH, the Audi R8 is already a magnificent piece of machinery. 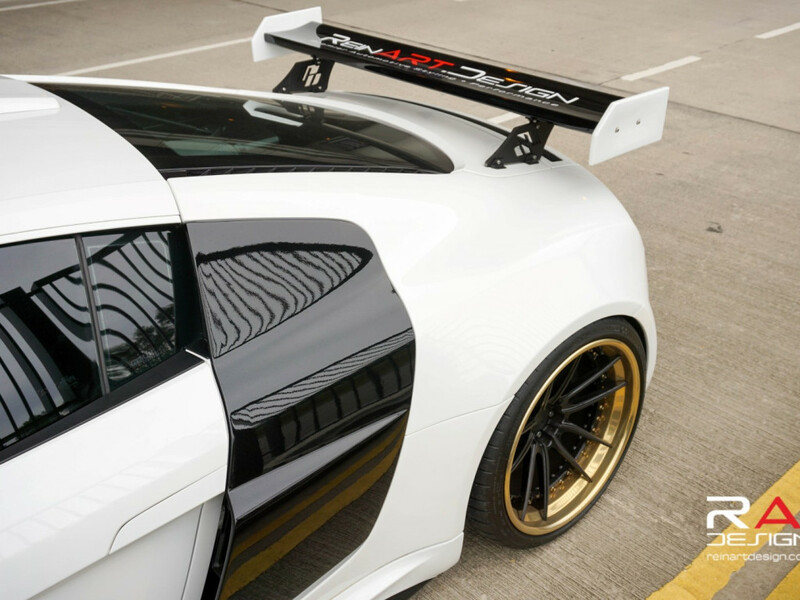 However it has always been criticized for lacking the edge and flare that its Lamborghini Gallardo cousin possesses. 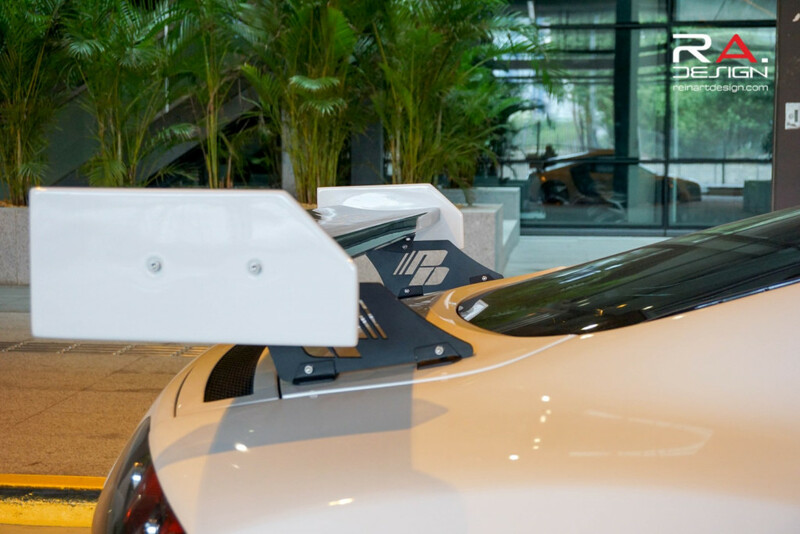 We had a clear cut objective for this project. 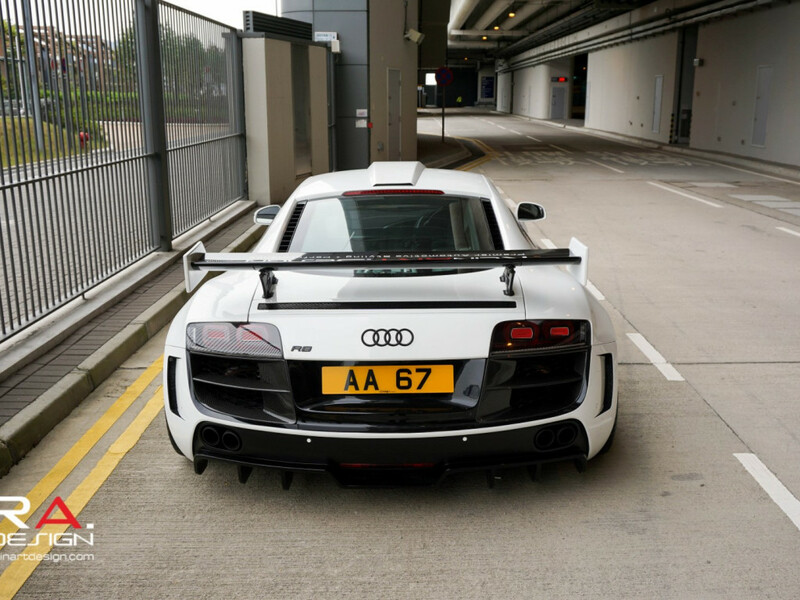 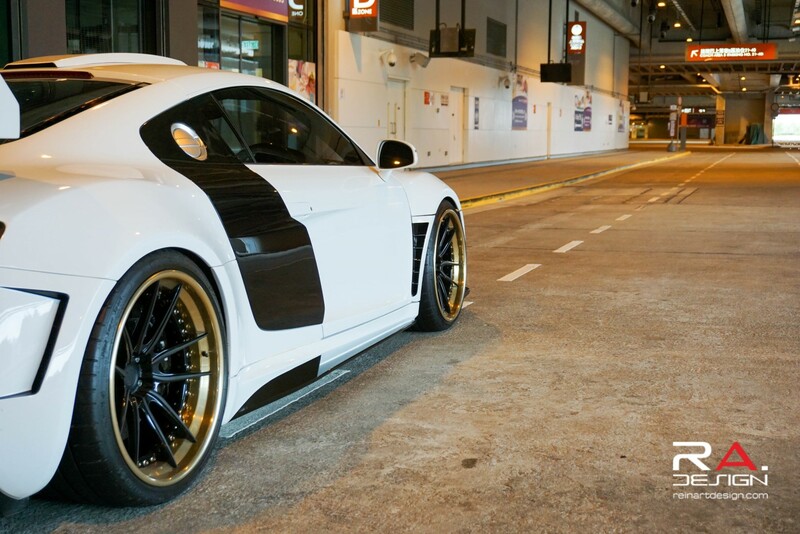 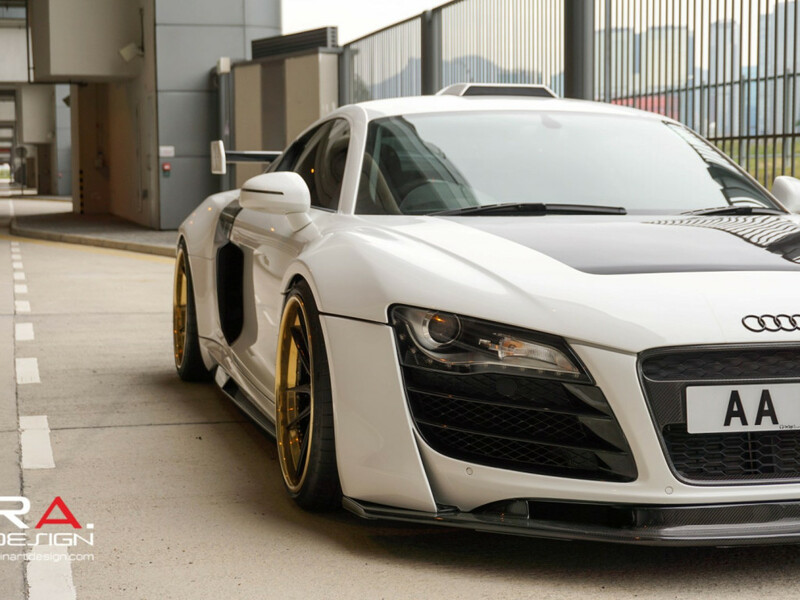 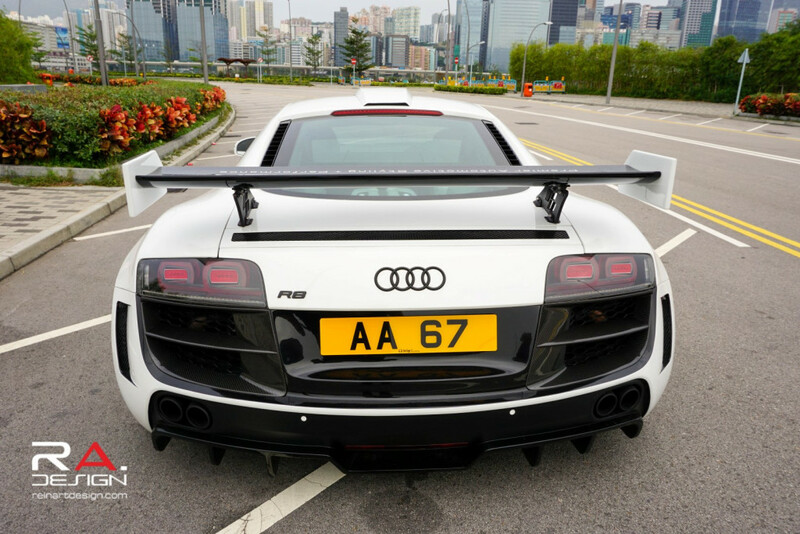 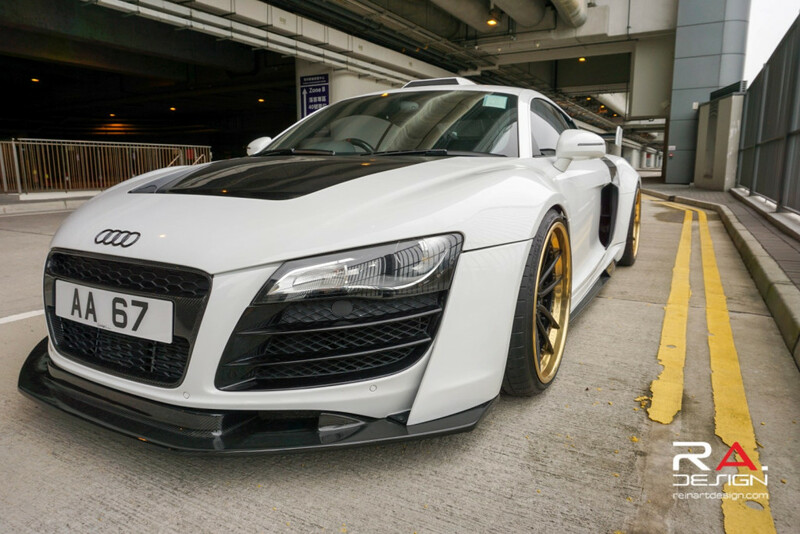 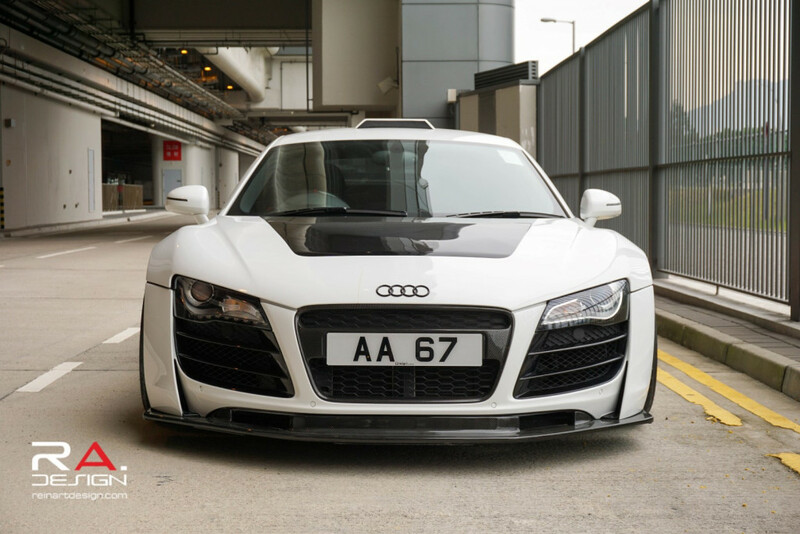 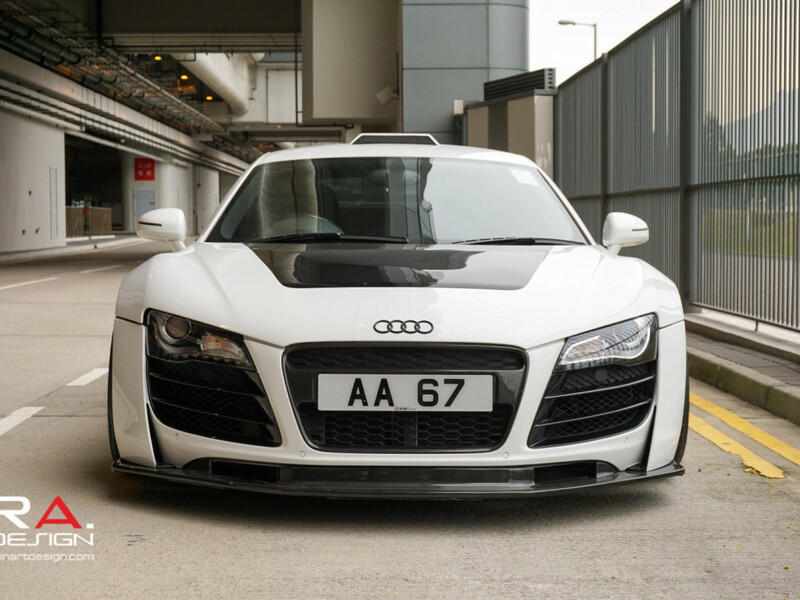 To transform this car into the baddest R8 in all of Hong Kong. 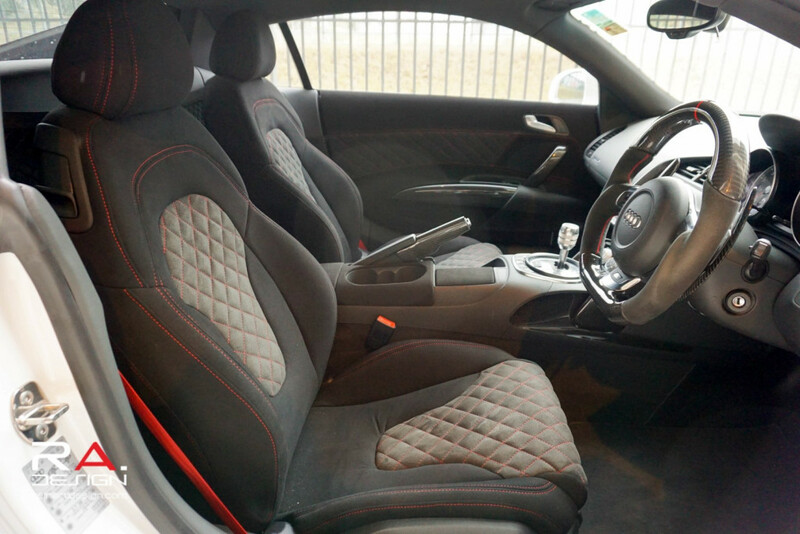 Although we hadÂ to make significant changes to the body styling of this car, weÂ understood that a certain level of sophistication and class had to be maintainedÂ to keep the natural “aura” of the original car alive. 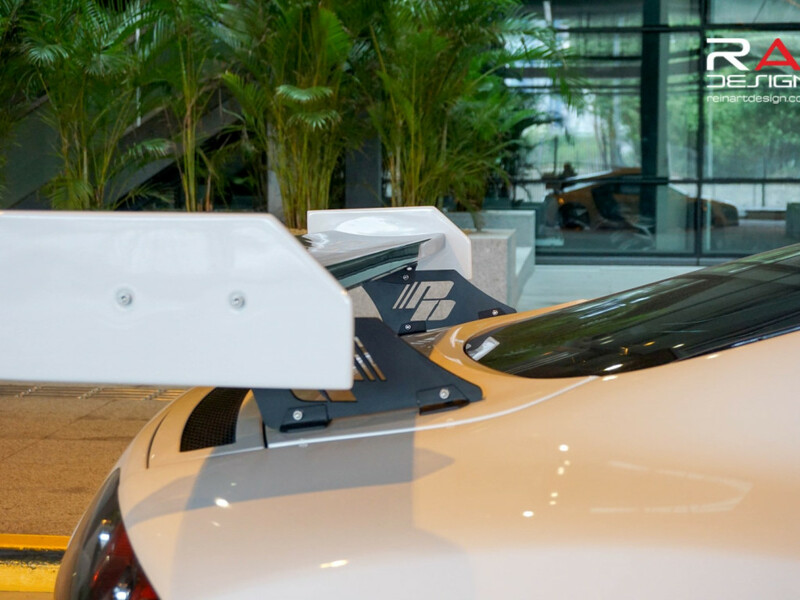 On the aerodynamic styling front, we really only had one choice in mind. 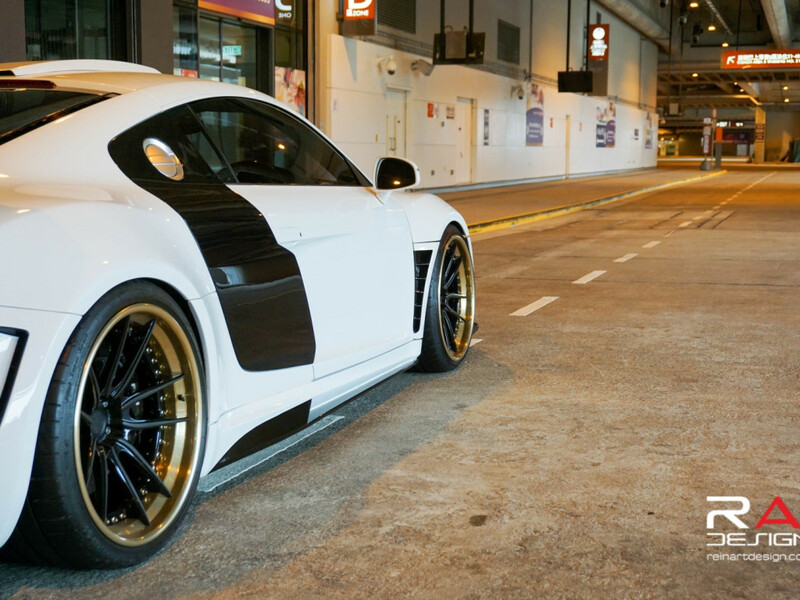 To get that aggressiveÂ appearanceÂ while still giving off the impression that this car could possiblyÂ comeÂ like this from the factory, we choose the Prior-Design GT850 wide body kit. 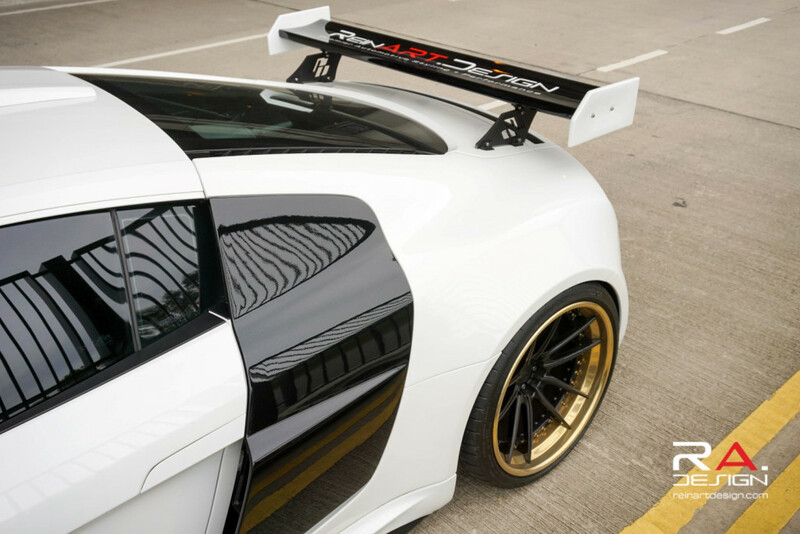 This kit comes with completely new fenders front and rear, hood, front and rear bumpers, front lip spoiler, side skirts, and roof scoop. 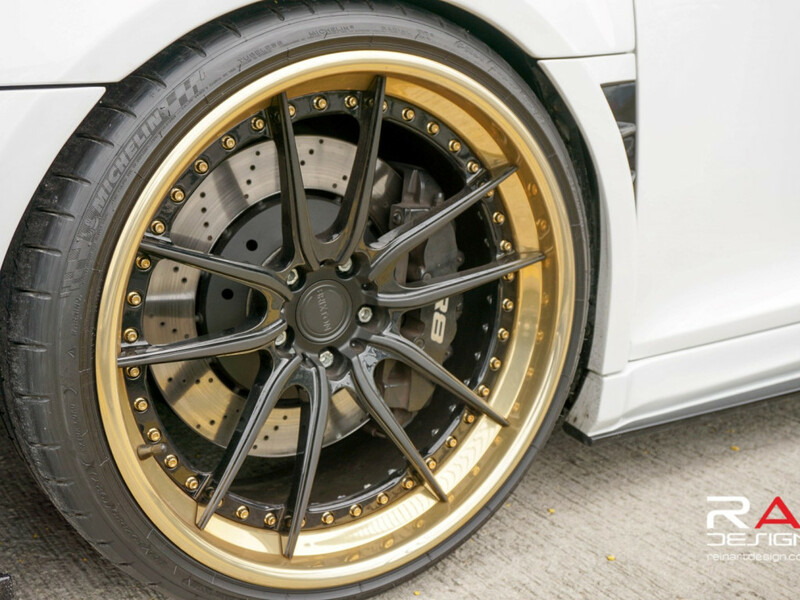 In the wheelsÂ department, Brixton Forged Wheels came through big for us with this beautiful set of 20″ M53 Super Concave Step Lip rims. 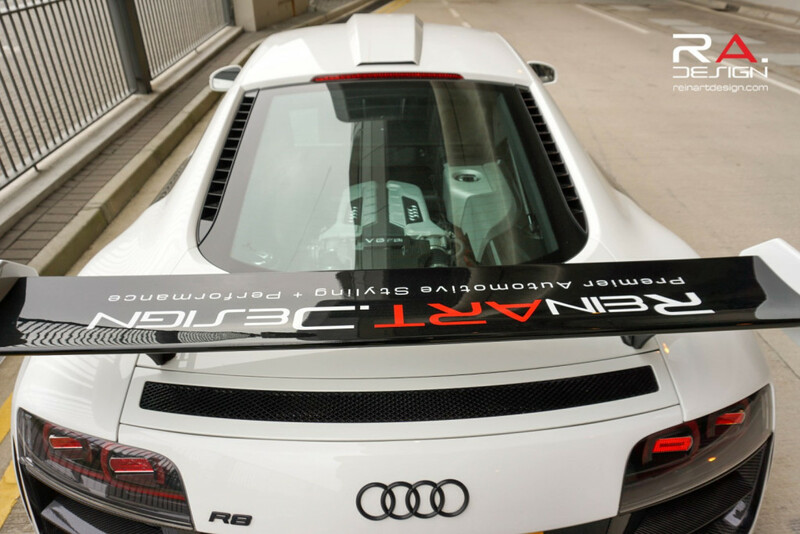 They measure 20×10.0″ (ET10) in the front and 20×12.5″ (ET9) in the rear. 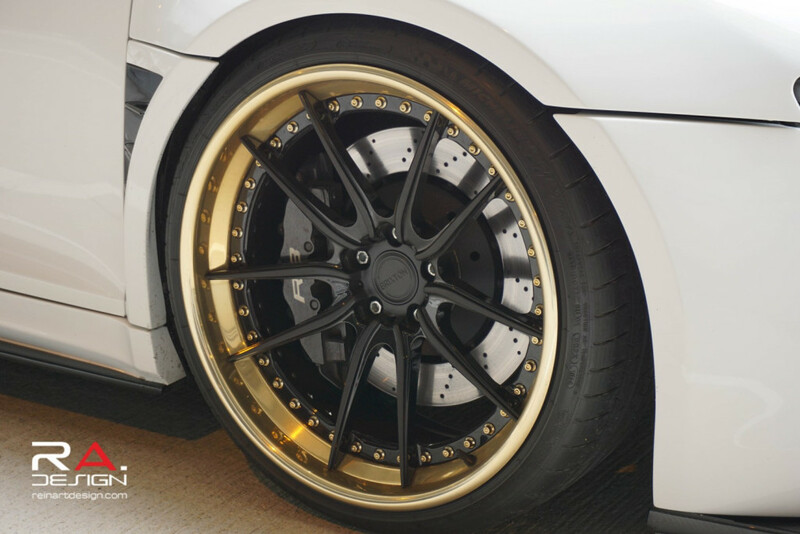 The outer barrel is a 24K highÂ lusterÂ gold and the face is finished in matte black with polished windows. 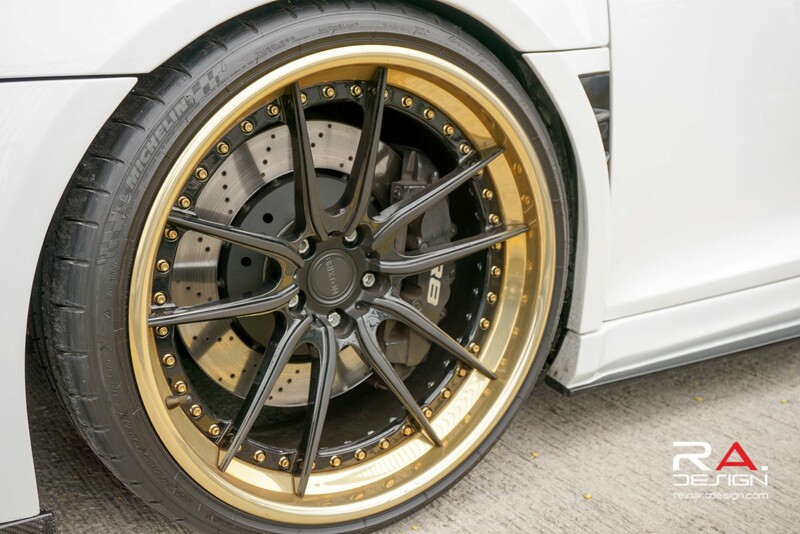 To cap it all off, we had Brixton fasten the wheels together with 24K gold exposed hardware. 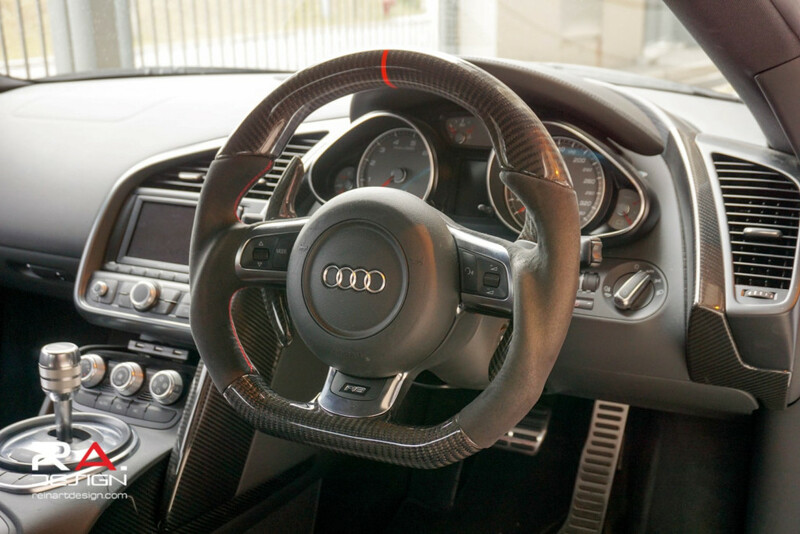 The car rides on a set of 255/30/20 and 325/25/20 Michelin Pilot Super Sport Tires. 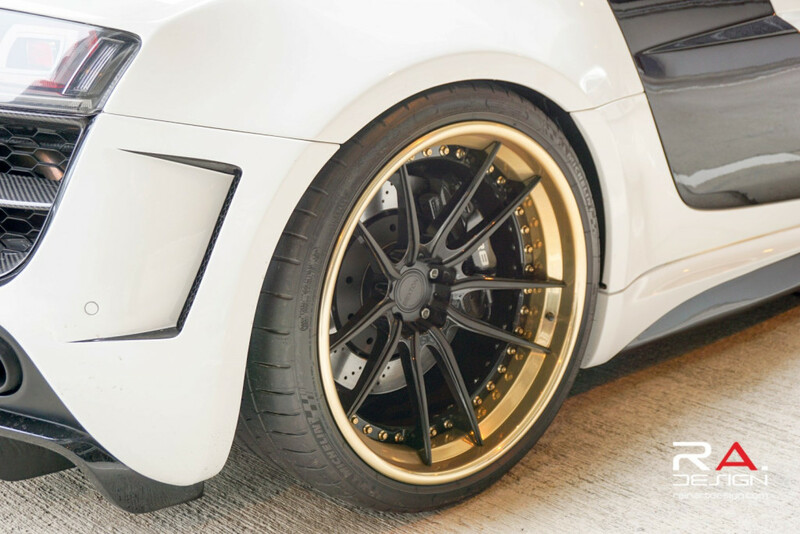 To achieve theÂ perfect stance, we knew we had to lower the ride height of the vehicle. 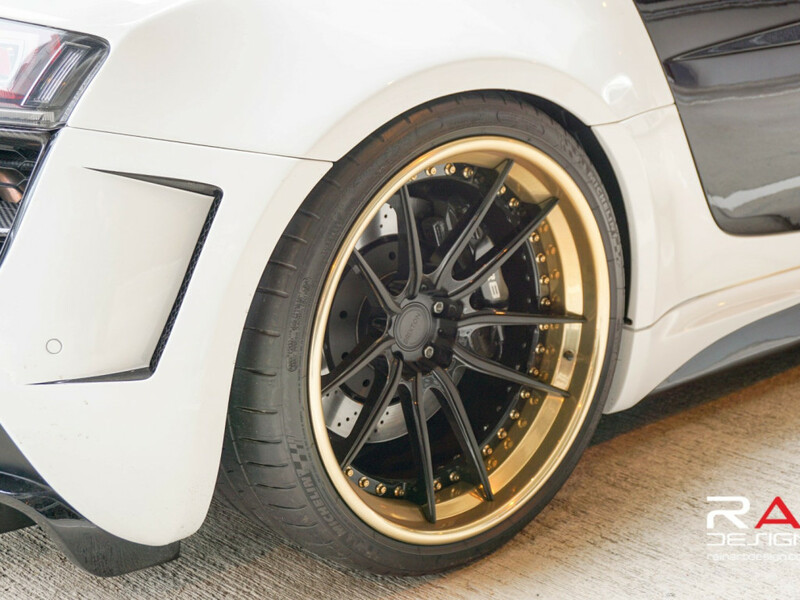 For this, we decided to maintain the use of the factory dynamic suspension option and chose a KW adjustable suspensionÂ that would allow us to dial in the proper ride height. 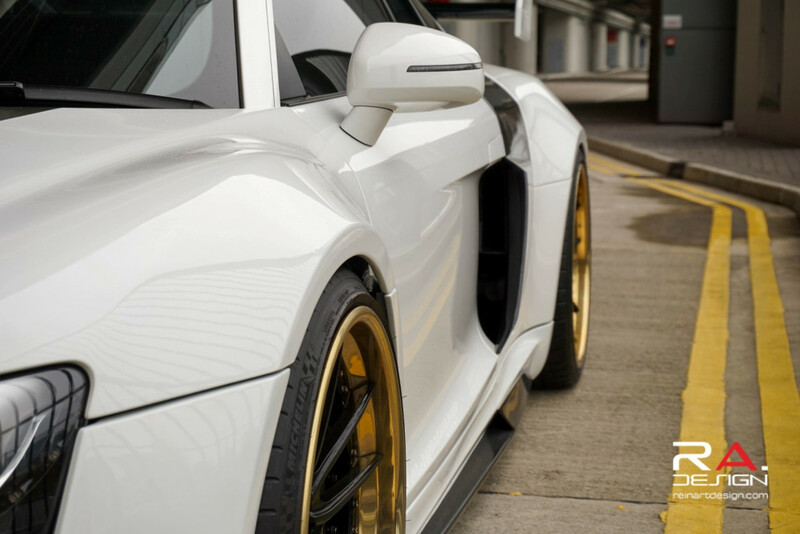 With the addition of the new lower front fascia, navigating the parking lots and driveways of Hong Kong was going to be quite difficult with our desiredÂ ride height. 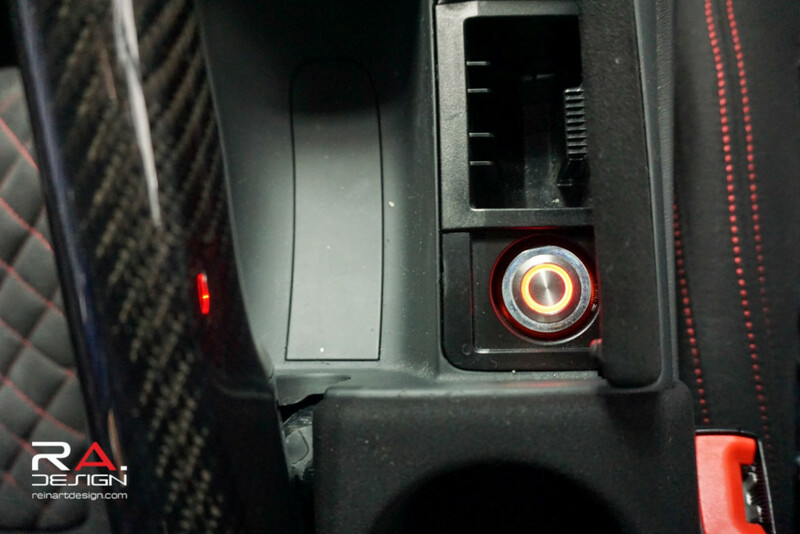 To overcome this problem, we installedÂ the KW hydraulic lift system for the front that would raise the car at the press of a button. 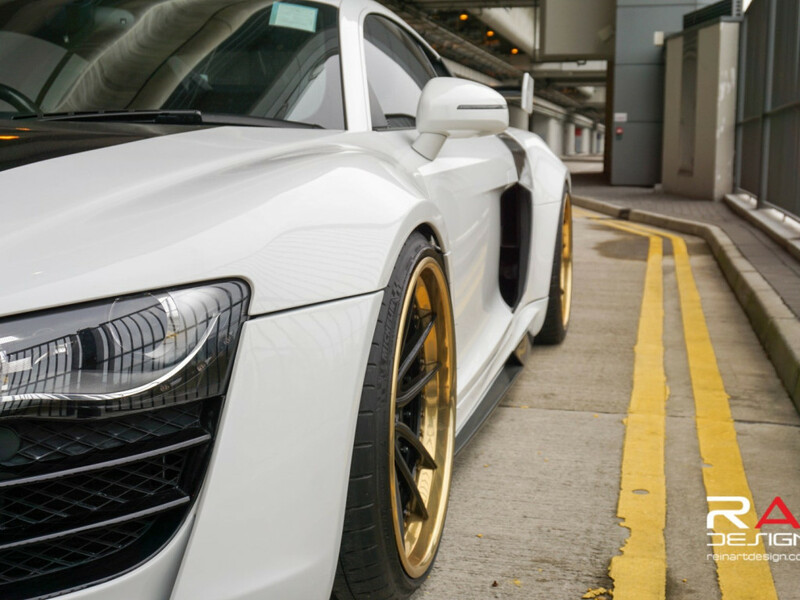 Within 5 seconds, you can gain an additional 1.5-2 inches of clearance. 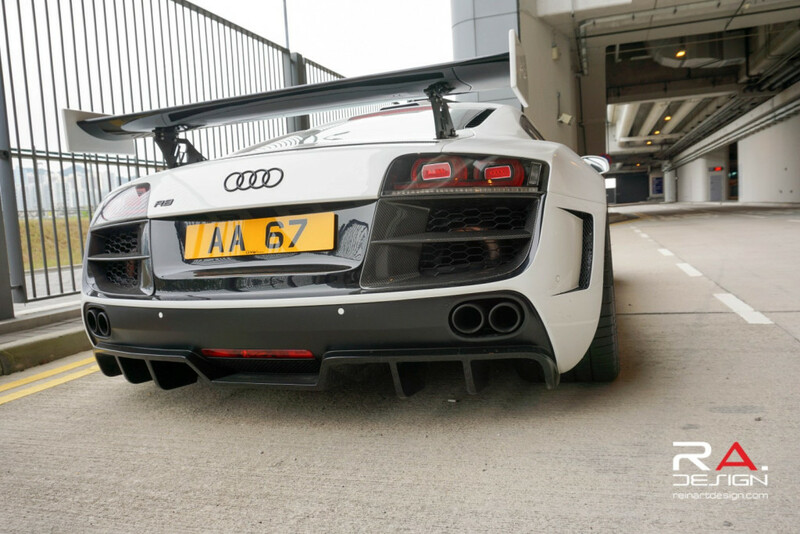 To unleash the roar of the Audi 4.2L V8, we fitted this car with a QuickSilver Titan “SuperSport” exhaust. 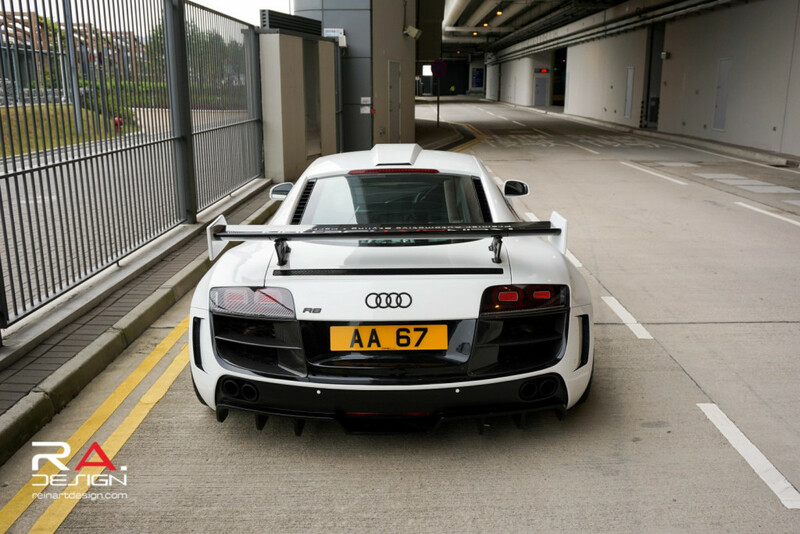 Out of all the exhausts we have heard on the Audi R8 4.2 V8, Quicksilver inÂ our opinion is the best sounding. 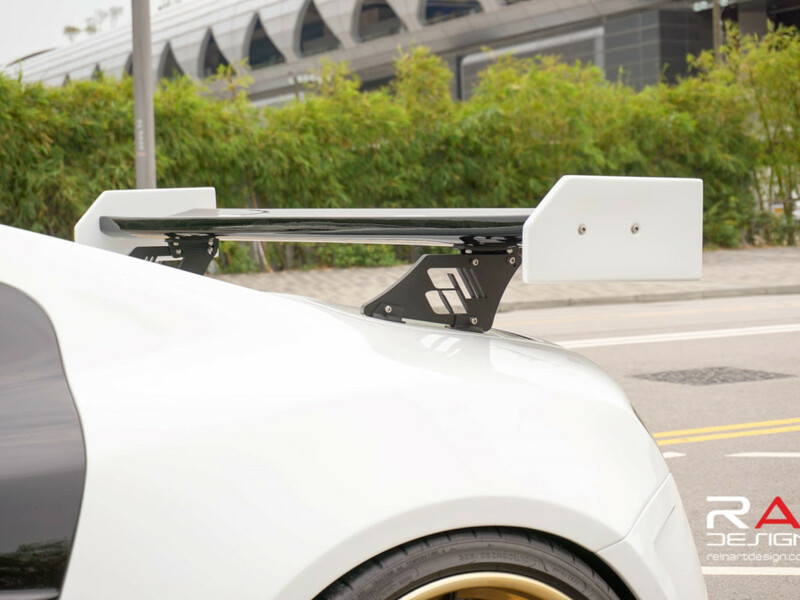 This is due in part to the lightweight titanium silencer and thin-gauge stainless steel tubing that they use. 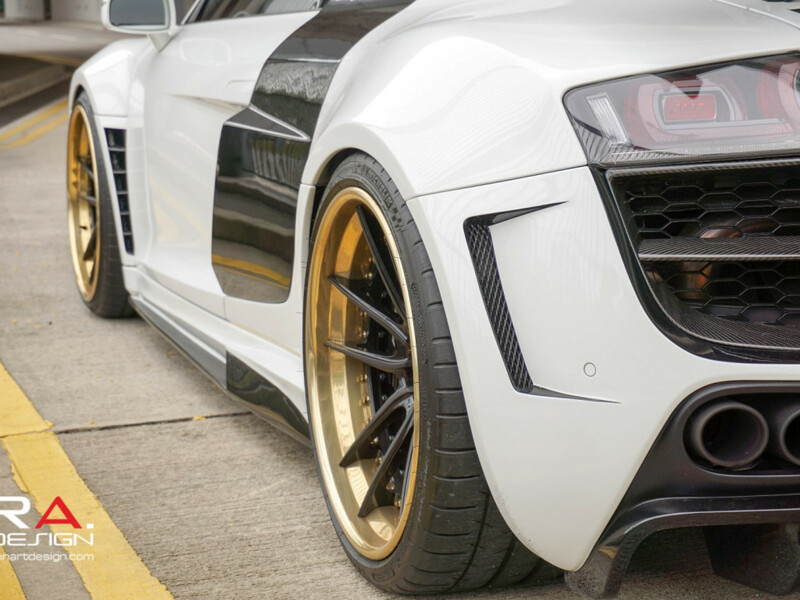 The new exhaust Â is roughly 60 lbs lighter than the factory exhaust. 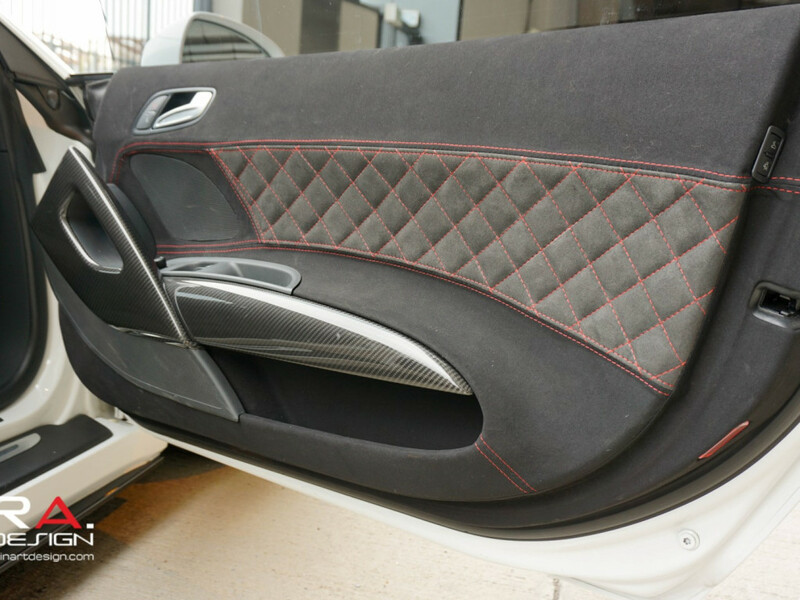 To finish it all off, we had a custom alcantara interior upholstered on the seats, door sills and interior ceiling to tie it all together. 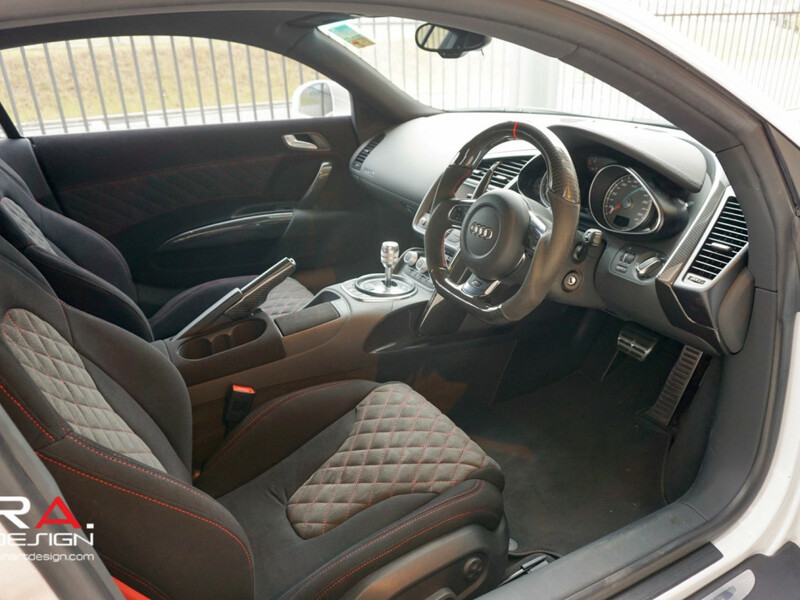 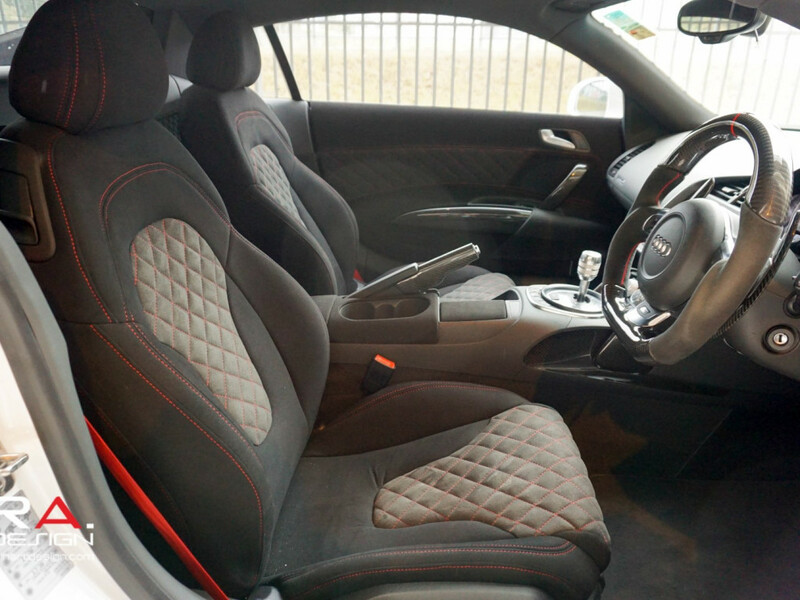 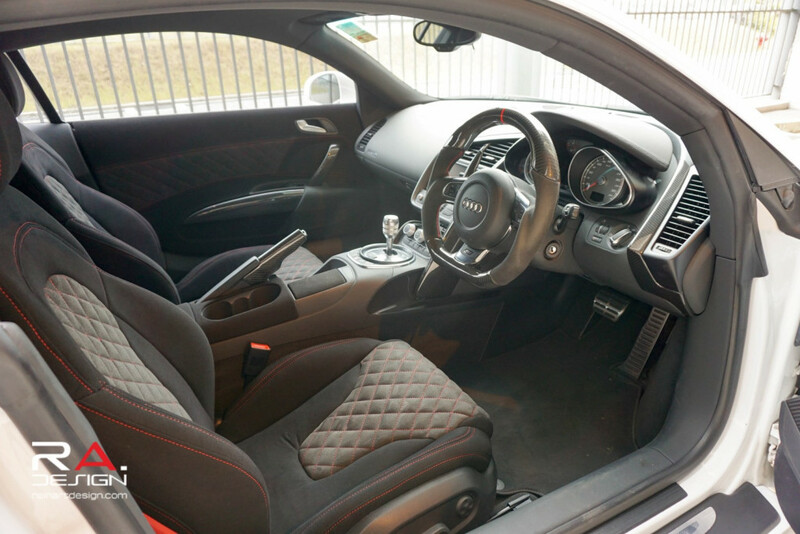 It features a quilted alcantara and red stitching. 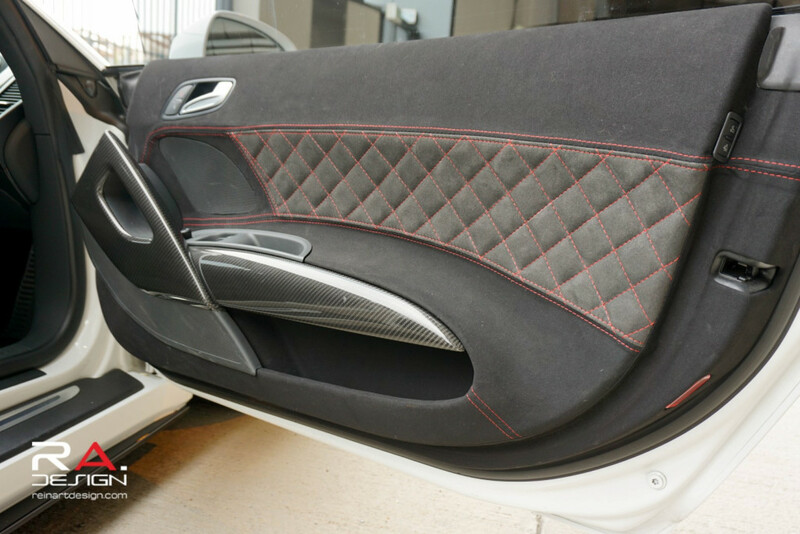 At ReinART.Design, weÂ strongly believe that no one modification canÂ transform a car into something amazing. 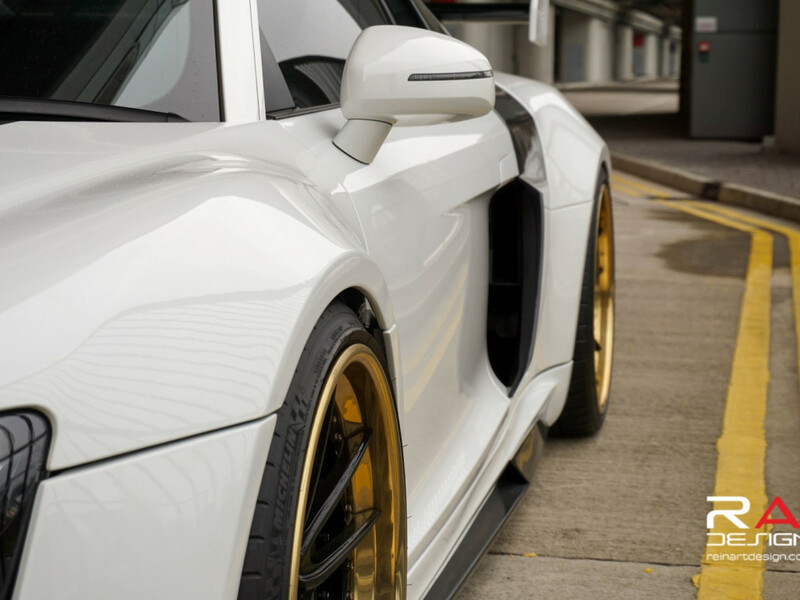 Our project cars all require a combination of well thought out planning and diligent research resulting inÂ the choosing ofÂ pieces that work to complement each other.Â With our wide body projects, we always decide on the body kit first. 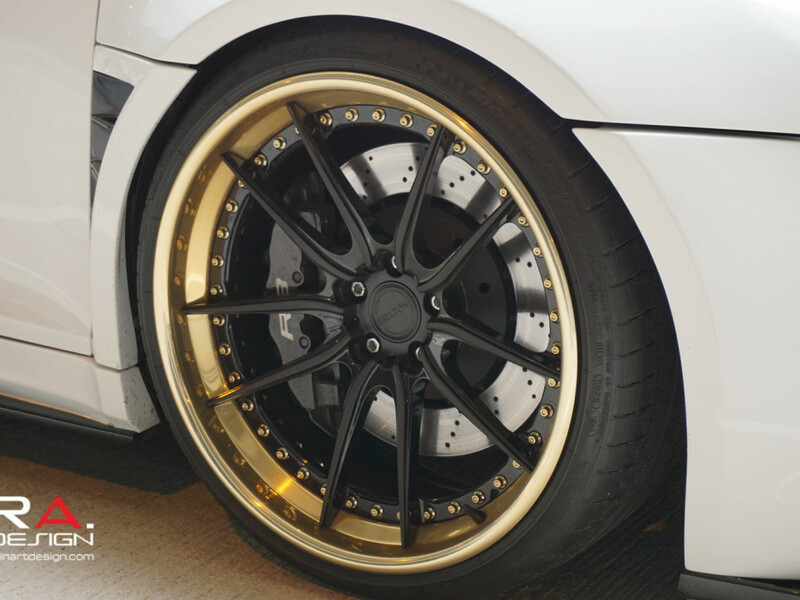 After knowing how much additional clearance we gain from the new body work, we calculate and choose a perfectly fitted rim designÂ with the right matching tire specifications. 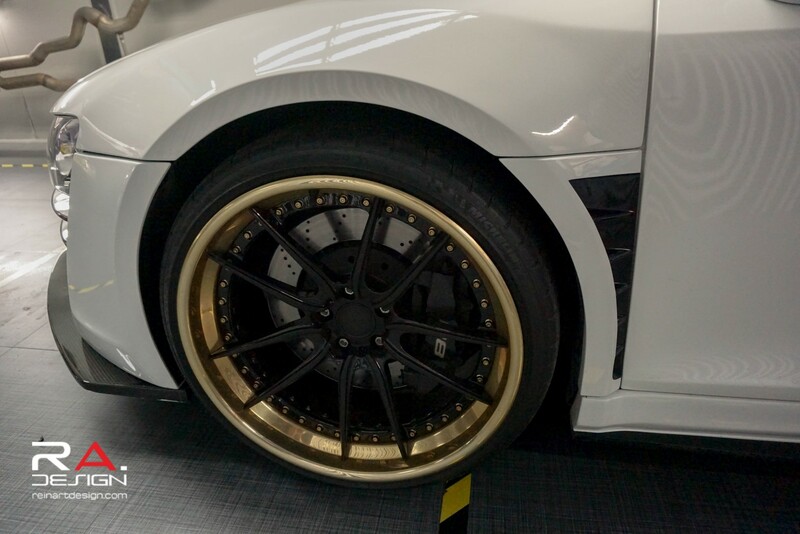 Lastly, we tie it all together with a fully adjustable suspension that will allow us to modify aspects of ride height and camber to get theÂ ideal stance. 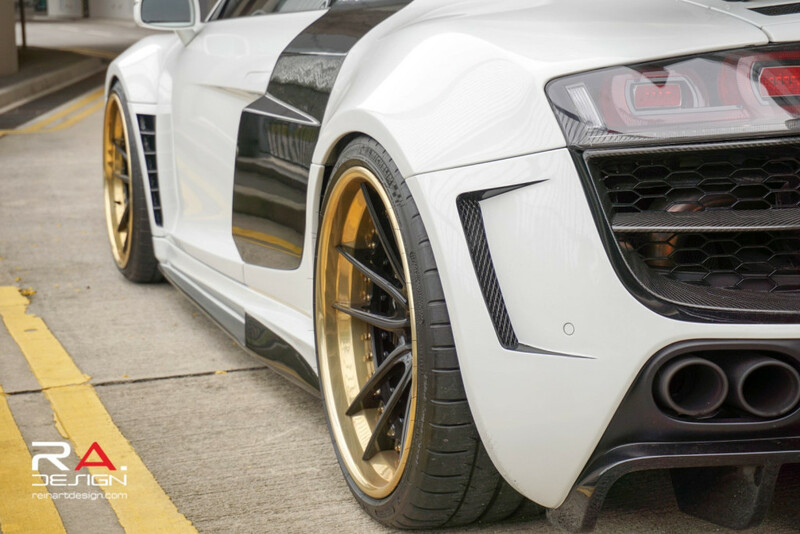 Our project Prior Design GT-850 Audi R8 will be a continually evolving work in progress. 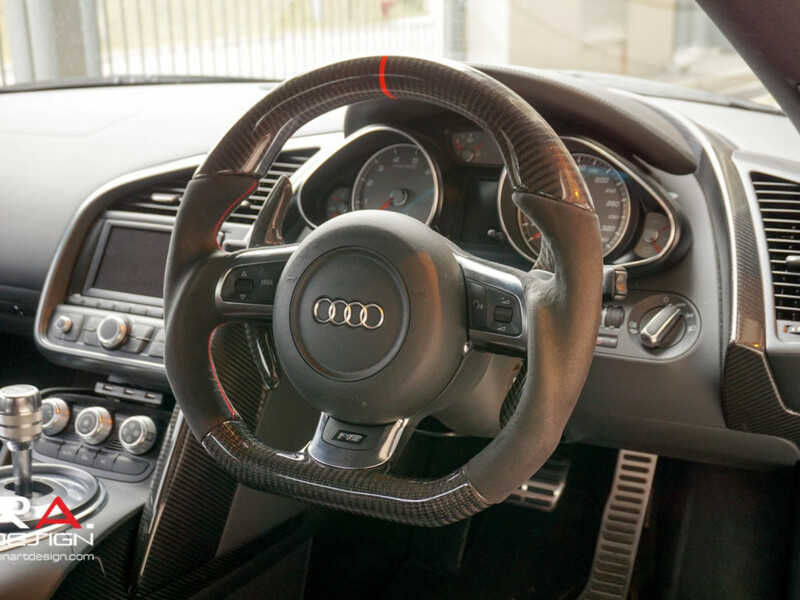 We are constantly looking for new ways to tinker and tweak things with the goal of achieving perfection. 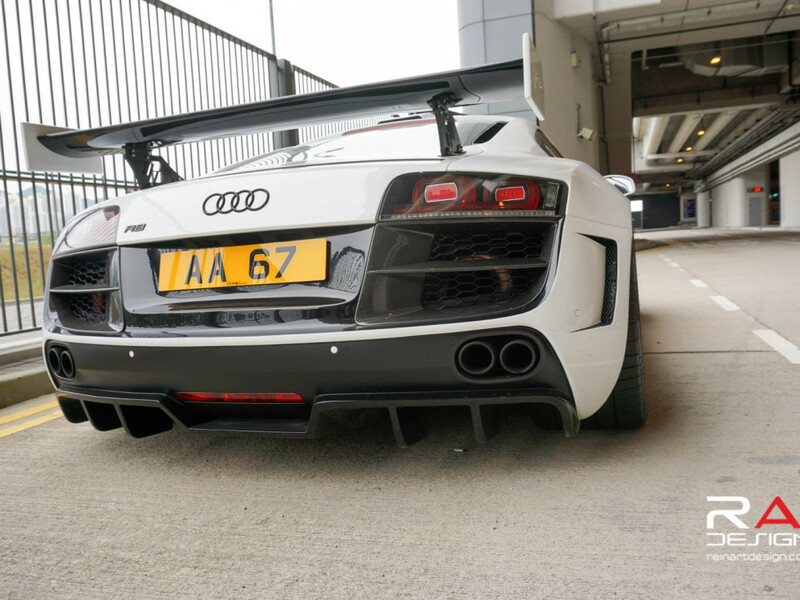 For more pictures check out the full gallery below.